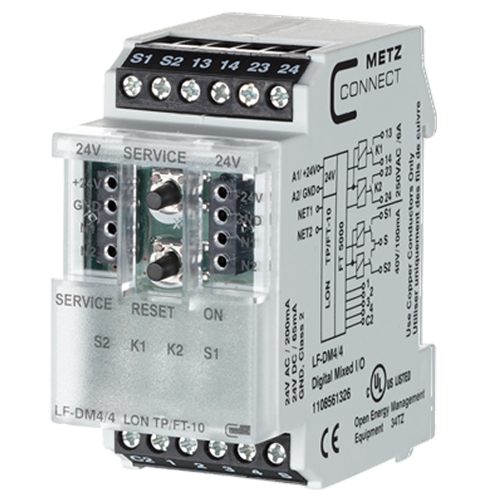 LF-DM4/4 LON sensor/actuator module with 4 digital inputs (for example for light switches and window contacts in a room) and 2 relay outputs and 2 digital outputs for switching two light strips. It can also be used to control motorized fire dampers. With strong inductive loads, it's recommended to protect the relay contacts additionally with an RC element.